Ohio State Buckeyes head coach Urban Meyer, who has been placed on paid administrative leave, took to Twitter on Friday to defend himself against allegations that he mishandled a domestic violence allegation. 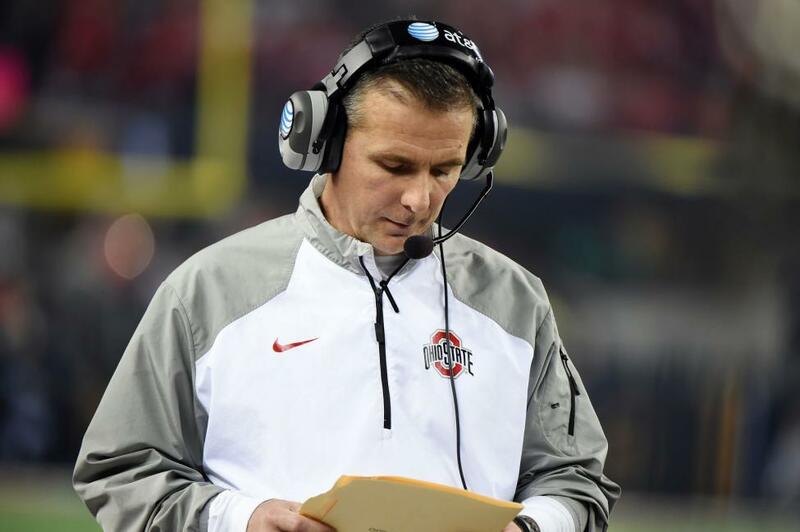 The university put Meyer on leave Thursday, hours after a report surfaced claiming that he was aware assistant coach Zach Smith had been accused of abusing his then-wife in 2015. [post_ads_2]"Here is the truth: While at the University of Florida, and now at The Ohio State University, I have always followed proper reporting protocols and procedures when I have learned of an incident involving a student-athlete, coach or member of our staff by elevating issues to the proper channels. And I did so regarding the Zach Smith incident in 2015. I take that responsibility very seriously and any suggestion to the contrary is simply false." However, Meyer also admitted that he "failed on many fronts" when answering questions about the incident initially. "My intention was not to say anything inaccurate or misleading," he added in the lengthy statement. "However, I was not adequately prepared to discuss these sensitive personnel issues with the media, and I apologize for the way I handled those questions.
" ... I understand that there are more questions to be answered, and I look forward to doing just that with the independent investigators retained by the university and I will cooperate fully with them. At the appropriate time, I will also address the questions and speculation in a public forum, but for now out of respect to the ongoing inquiry, I will refrain at this time." Ohio State officials have said that the investigation is ongoing. Meyer concluded his statement by saying he is confident he will be reinstated and expects to rejoin his team.